Frauds of various types continue to target lawyers in many areas of practice and fraudsters occasionally successfully dupe lawyers and law office staff. Don’t be complacent and think you will never be fooled. These frauds are getting ever more sophisticated. The matters will look legitimate, the fraudsters will be very convincing and the client ID and other documents you receive will look real. There are often two or more people collaborating to make the scenario even more convincing and we have seen fake law firm websites created to make these frauds look even more legitimate. 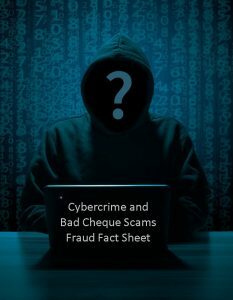 The Cybercrime and Bad Cheque Scams Fraud Fact Sheet will help you avoid bad cheque scams, phishing scams and email frauds. They are some of the most common, significant and costly problems for lawyers and LAWPRO. These frauds are very sophisticated. Phishing emails will appear to come from your bank and other legitimate companies. 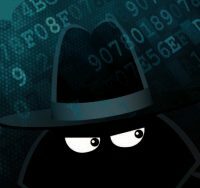 Fraudsters will email you posing as colleagues and clients, and corporate records may be altered. Remember, if it looks too easy or sounds too good to be true, it probably is. 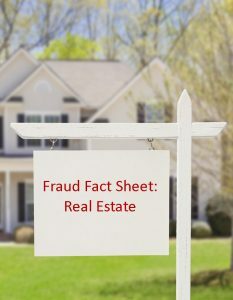 The Fraud Fact Sheet: Real Estate explains the ID impersonations, property flips, value frauds and phishing scams that are are successfully duping lawyers and law clerks. Real estate frauds can be simple scenarios or sophisticated ones. The matters look legitimate and the fraudsters are convincing. There may even be two or more people collaborating on both sides of a transaction to make the scenario more credible. Are you acting on a matter you suspect might be a fraud? If you are a LAWPRO insured, please call LAWPRO at 1-800-410-1013 (416-598-5899) if you are acting on a matter that you suspect might be a fraud. Working within confidentiality obligations imposed by the Rules of Professional Conduct, one of our Fraud Team members will talk you through the common fraud scenarios we are seeing and help you spot red flags that may indicate you are being duped. This will help you ask appropriate questions of your client to determine if the matter is legitimate or not. In the event the matter you are acting on is a fraud and there is a potential claim, we will work with you to prevent the fraud and minimize potential claims costs. If you have been successfully duped, please immediately notify LAWPRO as there may be a claim against you. Instructions on how to provide notice of a claim are here. One of our claims professionals would be pleased to talk you through assessing and dealing with a matter that is potentially a fraud. Never disperse funds without assurances that the funds are actually in your account. You can visit the AvoidAClaim.com blog and compare the potential client’s and other party’s name and story to those confirmed frauds reported to us. Click here for a full chronological list of all fraud articles and resources LAWPRO has published.